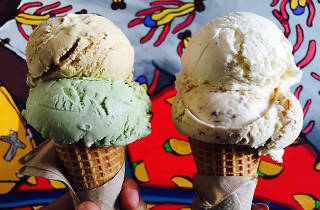 Humphry Slocombe owners Jake Godby and Sean Vahey named their quirky ice cream shop after characters in a ‘70s-era sitcom. Nearly a decade after opening in 2008, lines still wrap around the block for the pair’s signature concoction: Secret Breakfast, bourbon ice cream with crispy bits of cornflakes mixed in. 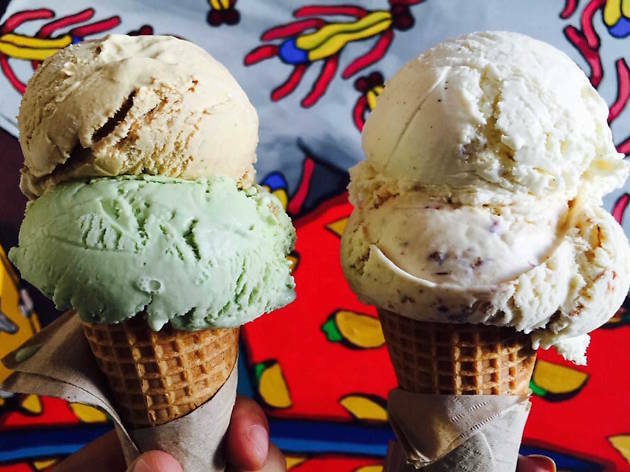 The duo is known for funky, addictive flavors like Elvis the Fat Years (roasted banana ice cream with bacon peanut brittle) and Beer Goggles (flavored with Fort Point’s Smoked Manzanita beer).